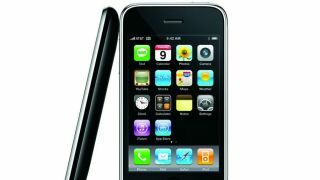 It seems Apple has confirmed the speculation that the release of the iPhone 5 may be the death knell for the iPhone 3GS. Numerous outlets have heard directly from the Cupertino-based company that once the iPhone 3GS stock runs out, there will be no more made available. Apple has already removed the iPhone 3GS from their store, as the once-free (with a cellular contract) phone has been supplanted by the iPhone 4 as the go-to "free" entry-level option. Despite being discontinued, the iPhone 3GS will still find itself able to utilize the latest operating system when iOS 6 drops on Sept. 19. This is good news for anyone who has yet to upgrade their phone to the iPhone 4 or later, as iOS 6 will bring a host of improvements to all compatible iOS devices. It'll no doubt be strange to see the smartphone phased out, as earlier this year Apple was expected to sell nearly 1.5 million iPhone 3GS. A lot of that was due to the handset being offered for free with contract at many carriers, but the iPhone 4 should have no trouble taking over the entry-level slot. TechRadar has reached out to Apple for an official statement on the matter, and will update this article when they respond.